Silverthorne has been hosting bike events all through the month of June, and this week the rest of Summit County is getting on board. From Bike to Work Day to world-class mountain bike competitions and Bike Week in Breck, there is some place and some way to play on your bike every day this week. Need to recover from all of the cycling? This weekend there are several musical, food and drink events, so you can kick back and relax. Just because it is Bike to Work Day doesn’t mean we skip out on Hump Day festivities. Stop by Sauce on the Blue from 4:30-6:30 p.m. to submit bingo cards, win prizes and snag a slice of pizza and a beer for $5. Rock out with the John Truscelli Band as Krystal 93 live streams from the event. Don’t miss the Bike to Work Day Party at the Island Grill from 5-7 p.m. or the Bike in Movie at the Breckenridge Arts District from 7:30-11 p.m.
From June 21-25, Breckenridge is hosting Bike Week. Whether you want to cruise, compete, drink, eat, play, learn, check out new gear or just hang in the sunshine, there is a jam-packed schedule of fun bike activities every day. Check out the Summit Mountain Challenges, the Vendor Expo and Demo in Blue River Plaza, the BIKES+BEERS+BANDS event, Yeti Women’s mountain bike skills clinics and so much more. Learn how to repair and care for your bike during daily Happy Hour Bike Clinics at your favorite spots like Mountain Wave and Carvers. Celebrate the start of bike season at the Free Frisco Bike Fling in the Frisco Adventure Park Bike Park this Saturday, June 24. From 11 a.m. to 12:30 p.m., register for the dual slalom race and jump jam. The jump jam for BMX and mountain bikers will kick off at 1 p.m., and the dual slalom will start at 3 p.m. In between events, enjoy a BBQ, demos and activities for free. Don’t miss one of the most popular mountain biking events in the country with the Big Mountain Enduro. Tons of features and three difficult stages make up the rowdy race. Register and practice Thursday and Friday, June 22 and 23, between 9 a.m. and 5 p.m. The race will start at 10 a.m. on Saturday, June 24. There is also the BME Kids Funduro race for kids ages 6-12. Keystone Skills Park and green single-track will be free to the public from 2-5 p.m. This week is the beginning of a series of weekly outdoor movies at the Breckenridge Arts District. The movies will show every Wednesday night from 7:30-11 p.m. In the spirit of Breck Bike Week, this week’s film, Breaking Away, will be a Bike In Movie. On Wednesday, June 21, brush up on your local history. The Historical Lunchtime Lecture Series is made up of 12 presentations held weekly at the Historic Park Log Chapel at 12 p.m. This week’s lecture is called “Stories of the Nuche, Tales from the Ute People,” presented by Nina Gabianelli from the Aspen Historical Society and Skyler Lomahaftewah, a member of the Northern Ute tribe. The event will delve into the history of the native people of Colorado and the modern Ute experience. Seating is limited, so arrive early to make sure you get a spot. Grab your girlfriends for a Women & Wine on the Water Tour this Wednesday, June 21. Meet at Dillon Marina for a women-only night out the third Wednesday of every month through September. Tours are two-hours long, starting at 5:30 p.m., and hors d’oeuvres will be provided. This month's featured region is California, so bring your favorite bottle of California wine. There are only 15 spots on each tour, and the cost is $50 per person. Kill two birds with one stone and enjoy a free ensemble concert before getting your weekly groceries at the Whole Foods Market in Frisco from 1-2 p.m. this Wednesday, June 21. Whole Foods is donating 5% of the day’s total sales to the National Repertory Orchestra. 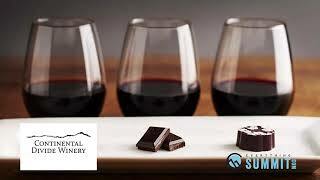 You could also win tickets to the Breckenridge Wine Classic during the concert. This Thursday, June 22, is the first show of the Concert in the Park Series at the Historic Park Gazebo. Every Thursday through August 17 from 5:30-7:30 p.m., come check out live music. Refreshments are for sale and all profits will benefit Rotary. This week’s band is the jazz-funk group Analog Son. Saturday, June 24, is the grand opening of the Silverthorne Performing Arts Center. To celebrate there is a full day of activities from 8:30 a.m. to 7 p.m. including yoga, tours of the new space, short films by the Breck Film Fest, guided bike tours of the Blue River Trail, live music and more. There will also be a community breakfast. Visit the website for a detailed schedule. Fill your belly with cheesy goodness and brews from Colorado and beyond at the Attack of the Big Beers & Grilled Cheese Festival on Saturday, June 24, at Copper. Sample amazing grilled cheeses, beers and enjoy live music from John Truscelli and BeauThomas Band and a film fest of original works by the Denver Film Collective and their associates curated by Big Loud Films. Book your tickets online to receive a tasting glass for beer and a Copper bandanna. If grilled cheese and beer isn’t your scene, how about bacon and bourbon? This weekend, Keystone is hosting the Bacon & Bourbon Festival from 1-6 p.m. on both Saturday and Sunday. Check out the Blue Ribbon Bacon Tour and Jim Bean Bourbon Tour in River Run Village. In between lectures and demos in the Bacon Education Center and tons of samples, catch live music from Cola Town Reunion, Mike Clark & the Sugar Sounds and Hell’s Belles. Register online for tickets. Tuesday, June 27, bring the kiddos to the Frisco Adventure Park for the Mountain Goat Trail Running Series. The series consists of four races with three different length courses for different ages. Register online for a discounted rate or the day of between 4:30 and 5:30 p.m. at the Frisco Day Lodge for $20. The races begin at 5:45 p.m. and kids will score a slice of pizza and a medal as they cross the finish line.